The price of desktop RAM keeps on going up, and the disappointing trend is expect to continue for a good chunk of 2017. Right now, the best price you’re going to find for 2 x 8GB desktop DDR4 RAM modules on Newegg is about $73. But if you want something from a larger brand like G.Skill or Corsair, expect to pay more—those 16GB kits are frequently selling for more than $100. The price increases began around mid-2016, as Newegg Business noted in a blog post in August. PCPartPicker's memory price trend page indeed shows the cost of all types of RAM surging upward since May or so. The reason at the time was that the big money was in producing DRAM for mobile devices, followed by servers, and then finally desktops. Since then not much has changed, with mobile device production being so big the demand is outstripping supply. At least that’s the word from DigiTimes. The newspaper spoke with Pei-Ing Lee, president of Nanya Technology, a RAM manufacturer based in Taiwan. Lee told DigiTimes that global RAM supply is still falling just short of demand—a situation Lee doesn’t expect to see improve in the spring. By the third quarter (July through September) prices could stabilize, according to Lee. But all that really means is the price will stop going up. Lee’s view is, of course, only one opinion, but it’s a well informed one, and corresponds to overall trends in RAM pricing. As PC Gamer points out, pricing is seriously rising. A 2 x 8GB kit of G.Skill DDR4-2400 RAM was priced around $75 at Newegg in late November (the cheapest vendor at the time), but that RAM is now hitting $92 at the same outlet, according to PC Part Picker’s pricing history. In mid-December you could’ve picked-up Patriot Viper Elite 2 x 8GB DDR4-2133 RAM for $80, but today that kit would set you back at least $100. 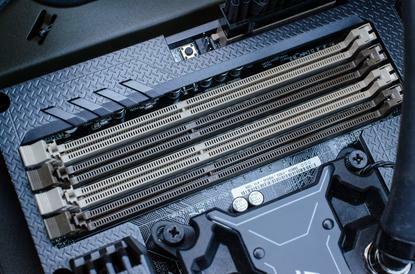 The impact on you at home: If you need to buy RAM for a new system, it appears there’s no real reason to wait as you’ll be paying extra now and possibily paying even more in the coming weeks. Anyone planning a rebuild later in 2017, however, might want to buy their RAM now, as reusing your DDR3 from an older PC may not work. With the switch to Intel’s Skylake and Kaby Lake processors, modern systems require the newer DDR4 RAM or low-voltage DDR3L memory. On the AMD side, the DDR4-supporting Ryzen is rolling out in the coming weeks.